7/8 - 1991 Nissan President – NO BID, Dash lamp illuminated (check engine), engine cutting out during idle. 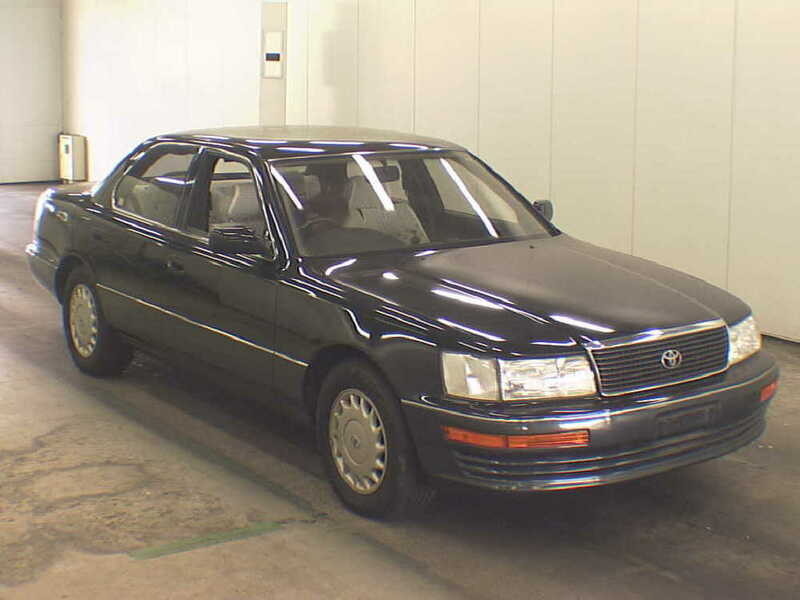 7/12 – 1990 Toyota Celsior – NO BID, Very poor condition inside and out. Stained interior. Did not turn over on first or second try. 7/15 – 1991 Toyota Soarer – NO BID, Evidence of Odometer swap. Advertised mileage (12,000) not genuine. 7/19 – 1991 Nissan Gloria – NO BID, Rusty. 7/20 – 1991 Toyota Celsior – NO BID, Underbody rust painted over. Engine noise. Looks nice, right? Wrong. The underbody was rusted and then painted over with a thick rubberized paint. Unfortunately that's a pretty common tactic in Japan. The cars in auction photos always look amazing, but don’t let that fool you. The blank backdrops, low resolution, and impeccable lighting in the photos makes them appear much better than they actually are. As you can tell from the data above, the JDM used car market is subject to poor quality cars just like the USDM market is. Look at it this way - If you went on craigslist and looked at 20 used Mustangs you would probably have about the same 5% success rate on finding a quality car in that bunch. Even walking up to the cars in the auction lot and comparing them to their photos is shocking. Going to the auctions one day, and then browsing the cars later, I kept asking myself "where were these cars when I was there? Did I just miss them?". I didn't miss them; I ignored them because of their poor condition. The photos do a lot for the presentation of an otherwise average looking car. Further, if a car looks great on the outside that doesn't mean it's good on the inside. The auction house usually supplies one interior picture, but we've passed on countless cars due to one very important interior condition that pictures don't capture: Smoke. Smoking is huge in Japan. It seems like everyone does it - on the street, in restaurants, bars, clubs, and in their cars. Cigarette burns are pretty common and excusable, but a smoky smell in the interior is very tough to get out after 25 years. A nice, low mileage Soarer. Just kidding, they swapped the odometer. The auction inspection process isn’t perfect. You can’t get the car up to 5th gear and cruise at 120km/h for 30 minutes. However, it does catch 99% of the problems that buying the car blind would never catch. Remember: these are 25 year old cars that have spent their entire lives on an island, prone to rust, and not always stored inside. This is why it is vitally important to us that we inspect every car before purchase, and this is why we are able to continuously bring in high quality cars with few problems.